Now available for purchase at Amazon.com, Amazon.de, Bokus.com, Adlibris.com, and Bokorder.se. 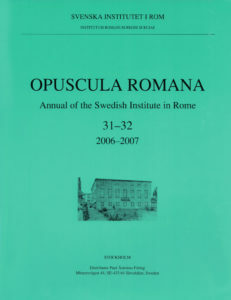 Opuscula Romana. 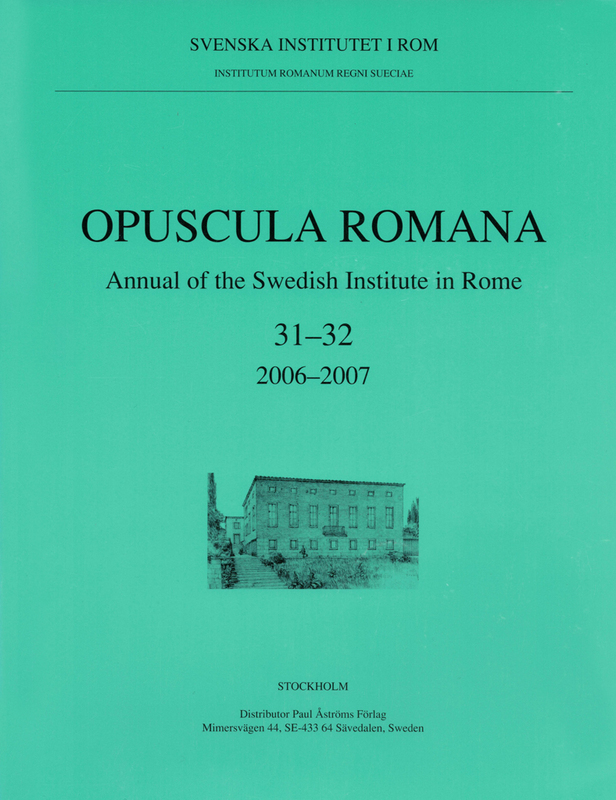 Annual of the Swedish Institute in Rome (OpRom) 31–32, Stockholm 2007. ISSN: 0471-7309. ISBN: 978-91-7042-174-7. Softcover, 222 pages.